Connie passed away Friday, June 30, 2017 at her home in Otsego. She was born November 25, 1948 in Hastings the daughter of Ron and Marilyn (Tebo) Rivers. She had worked as a bookkeeper for Learn & Play Preschool and had also worked at Parker Hannifin, was a hospice worker and nurse’s aide. In her spare time she enjoyed gardening, camping, quilting and spending time with her grandchildren. On October 14, 1989 in Otsego she married Tom Dutton who survives. Also surviving are her children, Chip (Tina) Austin and Guy (Tricia) Austin; grandchildren, Louie (Tina), Tyler (Taylor), Ashley and Jacob; great-grandchildren, Bailey, Abbigail and Sydney; mother, Marilyn; step-father, Grover DeForest; sister, Vicki Stegall; brother, Joe DeForest; mother-in-law, Patsy Dutton, brothers and sisters-in-law, Dave (Jackie) Dutton and Kathy (Larry) Meert along with many nieces and nephews. She was preceded in death by her father, Ron; step-mother, Dorothy; first husband, Cliff Austin Sr.; sister, Cinda Burcham and brother, Doug Rivers. Friends may visit with Connie’s family starting at 10:00 A.M., Wednesday, July 5, 2017 at the Winkel Funeral Home, Otsego until the time of the funeral service at 11:00 A.M. with Celebrant, Bill Rose officiating. Contributions in memory of Connie may be made to Wings of Hope Hospice of Allegan. 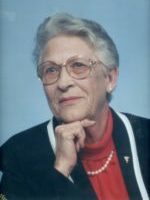 Kay passed away Thursday, June 29, 2017 at Stanford Lodge in Plainwell. She was born February 27, 1938 in Otsego the daughter of Elmer and Cleora (Frost) Brenner. Kay was an Otsego High School graduate and was a lifelong resident of the area. 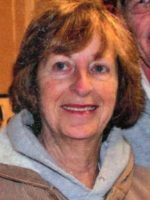 For many years she owned and operated the campground on Swan Lake with her husband Frank. Surviving are her niece, Terri Macak and step-daughter, Cathy Cauffman. She was preceded in death by her parents, husband, Frank in 2012, son, Dennis Patrick in 2013 and sister, Jean Zwiers in 2015. According to her wishes cremation has taken place. A memorial celebration will be held at 2:00 P.M., Thursday, July 13, 2017 at Stanford Lodge in Plainwell. Contributions in memory of Kay may be made to Hospice Care of Southwest Michigan. Grace Joyce Ann Howard passed away Wednesday, June 28, 2017 at Rose Arbor Hospice surrounded by her family. She was born Sunday, May 5, 1935 at the home of her great aunt in Buffalo, NY, the daughter of Rev. Dr. John R. and Elsie B. (Byers) Graf. She was referred to by her dad as “a gift of God”. Grace had two brothers, John R. Graf Jr. who was 15 when she was born and Howard who was 10. John lost his life during the invasion of Iwo Jima. Grace attended Wesleyan College and received her certificate as a certified travel agent in 1990.She was employed as manager of a travel agency until her retirement. In 1991 she was nominated as Travel consultant of the Year for the Uniglobe Southwest Region. She was also nominated for Who’s Who of Women Executives. Grace thoroughly enjoyed her job and often joked that she told people where to go and the quickest way to get there. 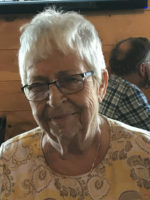 An active member of Christ Presbyterian Church, Lakewood, California, she served as Elder, Deacon, Sunday school teacher and was active in the Women’s Association and Frigates. She was also a prior member of PEO Chapter EJ, Bellflower, California and was an active Band Booster at Mayfair High School. Her greatest pride and joy in her life were her two children and grandchildren. Grace is survived by her children, Lisa Howard and Gregory (Ashlynn Kuersten) Howard; grandchildren, Aiden and Ethan Howard; nephew, John R. (Lisha) Graf; great-nephew, Johnny (Vanessa) Graf and lifelong friends, Kirk J. Real and Fran Boaz. She was preceded in death by her parents and husband, Donald W. Howard. Friends may meet with Grace’s family starting at 10:00 A.M. until the time of the memorial service at 11:00 A.M., Saturday, July 1, 2017 at the Winkel Funeral Home, Otsego with Pastor Andrew Williams officiating. A memorial service will also take place in California at a later time. Burial of ashes will take place at Rose Hill Cemetery, Whittier, CA. Contributions in memory of Grace may be made to Hospice Care of Southwest Michigan or to an educational fund for her grandsons. 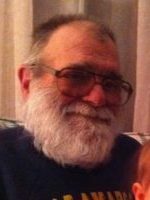 Vern passed away Sunday, June 25, 2017 at Golden Orchards in Fennville. He was born March 8, 1929 in Kalamazoo, the son of Roy and Flora (Oullett) Hazard. Vern served his country in the US Army during the Korean War. He had worked at Wilkins-Wheaton Engineering for 50 years until his retirement. Vern had also served on the Vicksburg Fire Department for many years. In his spare time Vern earned his pilot’s license and enjoyed flying small aircraft and building his plane. In 1979, at the Galesburg United Methodist Church, he married Lauren Kelly Collins, who survives. 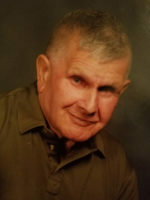 Also surviving are his children, Lynn Goodyke of Allegan, Tom Hazard of Battle Creek, Jim (Kim) Hazard of Kalamazoo, Vern Hazard Jr. of Texas, Ken(Deanna) Hazard of Kalamazoo and Laura Buxton of Gobles; 12 grandchildren; several great-grandchildren; siblings, Joseph (Lorie) Hazard, Fr. Mike Hazard, Ann (Richard) Anson and Alice (Richard) Prince along with several nieces and nephews. He was preceded in death by his parents, daughter, Sharon Howes and sister, Catherine Bertholet. A memorial mass will be held at 11:00 A.M., Saturday, July 1, 2017 at the St. Joseph Parish on Lake Street in Kalamazoo with Rev. Fr. Mike Hazard officiating. Burial of ashes will take place at St. Margaret’s Cemetery in Otsego. Contributions in memory of Vern may be made to the Wounded Warriors Project. Linda passed away Monday, June 26, 2017 at her home in Plainwell. She was born January 11, 1947 in Kalamazoo the daughter of Garold and Verland (Gregersen) Dean. For many years she had worked at Kalamazoo Savings and Loan and at ECCU. In her spare time she enjoyed crocheting and had attended a crocheting group at the Otsego District Public Library. Surviving are her daughters, Shelley (Curtis) Henschel of Kalamazoo and Rebecca (Jason) Quarry of Mattawan; 4 grandchildren, Travis, Miranda, Peyton and Braylon and lifelong friends, Linda Wolf and Cheri Gavin. She was preceded in death by her parents and brother, Gary Dean. Burial of ashes will be at Mountain Home Cemetery, Otsego at a later time. Contributions in memory of Linda may be made to Allegan County Community Mental Health. Thomas Lynn Kievit was brought into this world on September 20th, 1954, and without doubt instantly made it a better place. The youngest son of Clarence and Naomi (Meeker) Kievit, Tom graduated from Parchment High School in 1972 before joining the United States Army. Always looking for adventure, Tom found his niche in the 509th Airborne as a Paratrooper until called home to help his family after the loss of his father. Returning to Kalamazoo, Tom joined his family as a co-owner of the Globe Rubber Stamp, Co., and as Tom left his stamp on this life, he found his career in ink, working first for Sinclair and Valentine in Kalamazoo and acting as a plant manager when the company became Flint Ink. Upon Flint Ink’s closing, Tom took his 26 years of experience and tried his hand at logistics for Evergreen Packaging before his retirement. On August 1, 1981 Tom married the love of his life, his soulmate, his partner in crime, Brook Channells. The two made their home in Martin, and lived every day together with love and laughter, welcoming the second love of Tom’s life, their daughter, Kiley, in 1983. Tom was a man with an immeasurable heart and spirit. Family always came first, and to Tom family came in blood and in friendship. He was the first to offer a helping hand to loved ones and strangers alike. His sense of humor and great smile made him friends wherever he went. If the measure of a man can be found in those who love him, then Tom was larger than life. 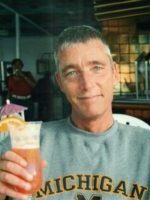 One of Tom’s greatest pleasures was traveling with Brook every chance they got – all across the United States, and especially cruising through the Caribbean, enjoying each other, the sunshine and rum. Tom loved Corvettes, Jeeps, bad Sci-Fi movies and black coffee. He LOVED University of Michigan football, though much to his kids’ dismay, he was a known “Spartan Sympathizer.” He was an enthusiastic fan of the T.V. show Survivor, and loved putting together hilarious and inventive audition tapes. Tom passed away at home on Saturday, June 24th, surrounded by his family. He is survived by his wife, Brook Kievit; his daughter and son-in-law, Kiley and Scott Haynes; grandsons, Nicholas and Alexander; and brother, Terry Kievit. Tom is preceded in death by his mother and father; his brother, Timothy Kievit; and his life-long friend, Dave Solleveld. In lieu of flowers, the family asks that memorial donations be made to Hospice Care of Southwest Michigan. Tom passed away Thursday, June 22, 2017 at Henry Ford Hospital in Detroit. He was born February 23, 1953 in Detroit the son of Clarence and Mildred (Mullins) Potter. Tom was a 1971 graduate of Otsego High School and served his country in the Army Reserves. As a young man he had worked at Harding’s in Otsego and at Gibson Guitar. For 25 years he had worked at Parker Hannifin until his retirement in 2002. Following retirement he had worked at Metron in Allegan. In his spare time Tom enjoyed playing softball, golfing, bowling, doing crossword puzzles, listening to classic rock and writing poetry. He was an avid reader and loved dogs, especially Layla his pomeranian. Surviving are his parents; siblings, Annie (Roger) Kruithoff of Alamo and Steve (Julie) Potter of Alamo; 3 nephews and 1 niece, Jeremy, Jessey, Brock and Nolan and great-nieces, Presley and Paige. Friends may visit with Tom’s family starting at 2:00 P.M., Tuesday, June 27, 2017 at the Winkel Funeral Home, Otsego until the time of the funeral service at 4:00 P.M. with Pastor Dan Minor officiating. Contributions in memory of Tom may be made to the SPCA of Southwest Michigan. Phyllis passed away Wednesday, June 21, 2017, at Bronson Hospital in Kalamazoo. She was born January 30, 1955, in Plainwell the daughter of Charles and Bernice (Stricklin) Hummel. On March 25, 1977, at the Plainwell United Methodist Church, she married Renny Ransbottom who passed away in 2015. Phyllis was generous and enjoyed volunteering for several organizations while her children were in school and was a founding member of the Band of Friends. She was an avid reader, enjoyed road trips, kayaking, crosswords, and had a soft spot for an animal in need. Most of all Phyllis loved spending time with her family. Surviving are her children, Michael Ransbottom and Katherine (Austin Wiggins) Ransbottom, siblings, Ellen (George) Hoots and Charles “Ed” Hummel along with many nieces and nephews. She was preceded in death by her parents, husband, and sister, Peggy Hummel. Contributions in memory of Phyllis may be made to the SPCA of Southwest Michigan. Ronald B. 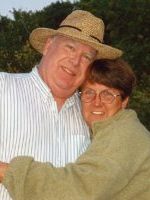 Pierce, age 74, passed away Tuesday, June 20, 2017 at Borgess Medical Center of complications from lung disease. Ron was the son of Dale K. and Laura (Holliday) Pierce. He is survived by his wife of 45 years, Sara L. Pierce; his daughters, Susana R. Pierce and her husband, Adam Townsend and Jenifer L. Blitz and her husband, Christopher; his son, Joel A. Pierce and his wife Angela; his granddaughters, Lucilia Blitz, Eliza Blitz and Aenessa Blitz; grandsons, Alexander J. and Jacob A. and his wife, Hayley; great-granddaughter, Emerson; his sister, Linda and Bob Cooley; nephew, Scott and Jerri Cooley and their children, Christian and Chandler, niece, Erin Cooley and fiance, Gordon Doolin. 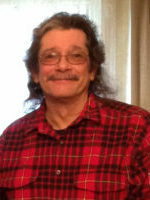 Ron was a retired machinist who had worked at General Motors for more than 36 years. In his spare time he enjoyed doing crossword and jigsaw puzzles and watching cooking shows. He was a strong member of the local union, UAW 488, holding several leadership positions during his time as a member. Ron was a loving father and grandfather. He was the constant companion and guardian of the household dogs and grudging companion of the household’s feline members. He will be sorely missed. A private burial will be held at a later time. In lieu of flowers please consider making a donation in Ron’s memory to the National Institutes of Health, Willy’s Kitty Angels Rescue or to the SPCA of Southwest Michigan. Wanda passed away peacefully on Sunday, June 18, 2017 at her home in Otsego with her family at her side. She was born March 20, 1927 in Otsego to Spencer and Millicent (Smith) Sherwood. Wanda had worked at Alamo Nursing Home before opening Collins AFC Home in 1970 and had retired in 2012, In her spare time she enjoyed embroidery, traveling, walking the Mackinac Bridge and flower gardening. In 1945 she married Osborn “Bud” Collins who passed away in 1983. Surviving are her children, Ted (Linda) Collins of Alamo, Dan (Sherry) Collins of Otsego, Lonny (Fred) Cremeans of Otsego and Cory Donlin of Otsego; 11 grandchildren; 20 great-grandchildren; 5 great-great-grandchildren and her sisters, Juanita, Zonna and Lynette. She was preceded in death by her husband; daughter, Lawana Clark; 1 grandchild; 2 great-grandchildren and her siblings, Skip, Buddy and Linda. In lieu of flowers contributions in memory of Wanda may be made to Hospice Care of Southwest Michigan.